Item: Out P677.2 - A Long Stretch of Canneries, Steveston, B.C. Item: Sp P65 - A Regatta Day Vancouver, B.C. 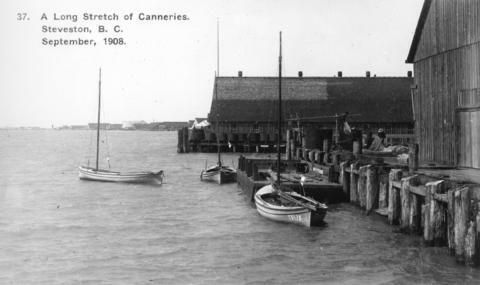 Item : Out P677.2 - A Long Stretch of Canneries, Steveston, B.C.